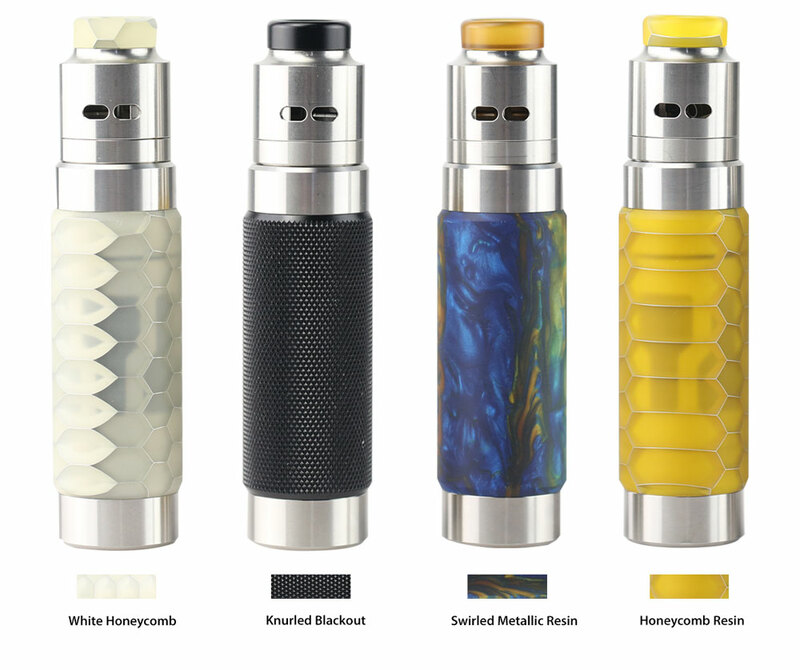 Inspired by the Ex Machina Design aesthetic, the first Wismec RX Machina Mod with the signature Honeycomb Resin Sleeve designed by JayBo is born. 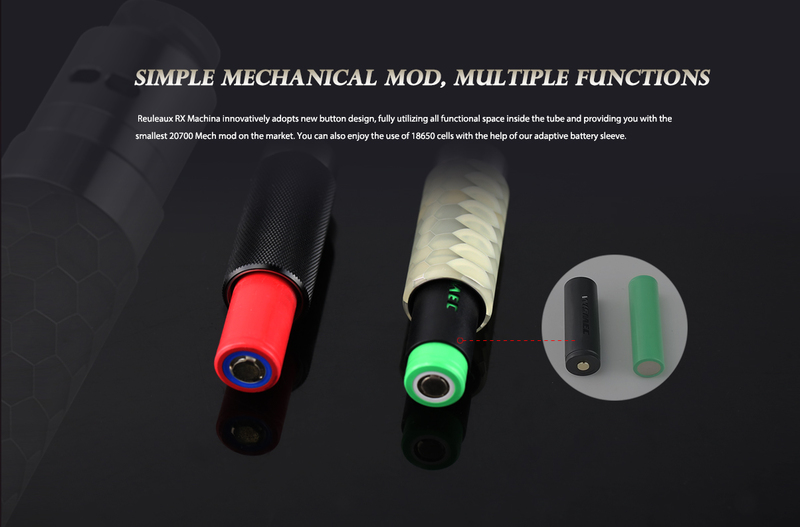 Differing from the conventional button configuration, RX Machina moves all the functional button parts up into the 510 section and has the smallest possible profile for a 20700/18650 mod. 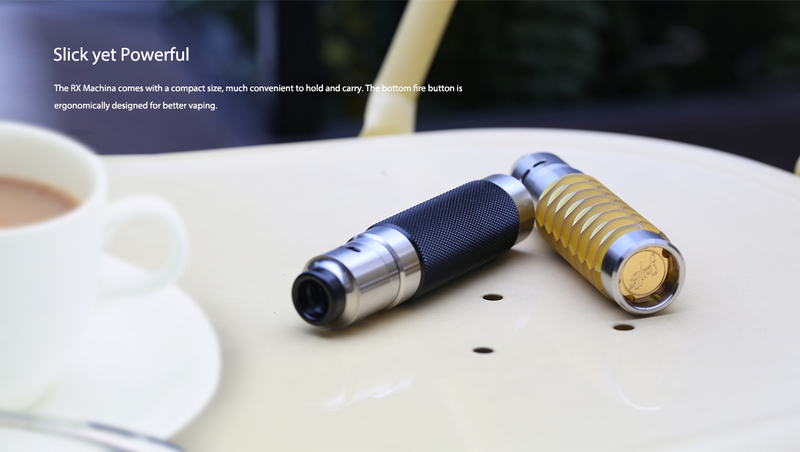 RX Machina is not only a stunning device which captures the innovation and advancement in Mech technology, but is is also presented in a beautiful way making this product very special. 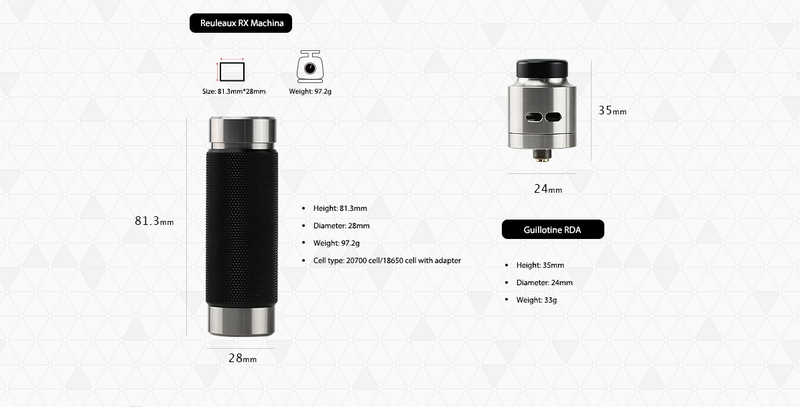 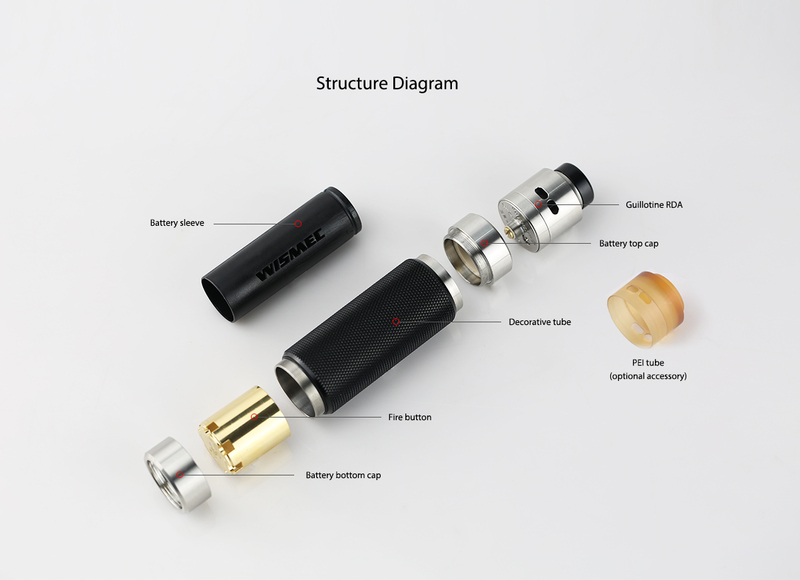 All the components of Guillotine RDA can be easily disassembled for deep cleaning and maintenance purposes. 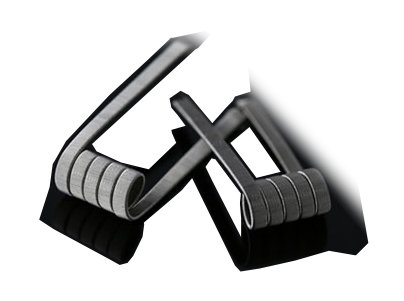 The fire button housing (bottom ring) is intentionally difficult to remove as it is designed to only be removed when cleaning the fire button. 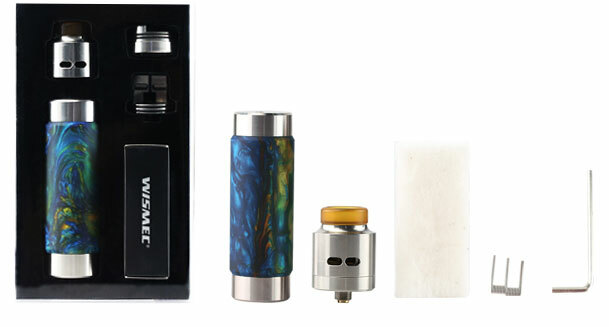 The Clapton Coils included in the kit have been optimized for performance with a 20700 battery, 4 ply Flat Ribbon Wire core wrapped with 38g, Single Coil Configuration has 0.28ohm resistance.